With fall and winter right on our heels you're probably thinking you're out of the woods when it comes to deer damage in your backyard landscape. Wrong. Actually, fall and winter mark the beginning of the worst seasons for deer damage to your landscape. Deer will eat just about anything in the winter — their food supply is low and they can't be choosy. They are hungry enough in the winter to eat vegetation that they ordinarily would not eat. As with other wildlife, land development has reduced deer's natural habitat. Combine that with a lack of natural predators and easy access to your landscapes and modern-day deer not only survive, they thrive! The most important thing to understand about fighting deer is that it's easier to prevent damage than to react to it. So it behooves you to know your enemy and stay at least one step ahead of them. Deer are creatures of habit — they establish feeding patterns and return to the same spot over and over again, even when that same spot stops offering enough food for them. Even just a few deer can cause significant damage to your landscaping. "A single whitetail deer can consume, on average, 8 -12 pounds of foliage a day," says Greg Ecsedy of Bobbex, Inc. "In many areas of the country, deer overpopulation is a serious problem. With nowhere to go and not much left to eat in the dead of winter, deer can wreak havoc on shrubs, trees and gardens, and destroy new buds and leaves before they have a chance to grow, ruining your prospects for any spring growth." 1. Rub marks on trees where bucks have rubbed their antlers to mark their territory; the tree bark is actually rubbed off. 2. 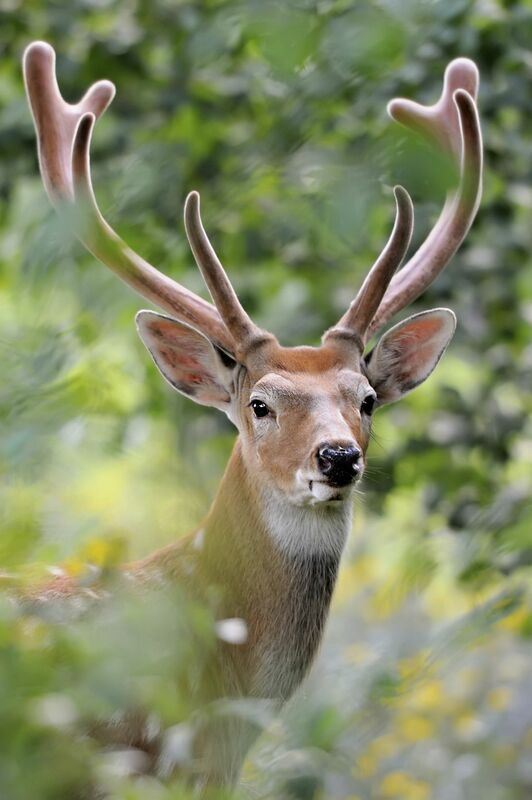 Any kind of torn vegetation is also another telltale sign, deer do not have incisor teeth, and therefore, they "rip" the vegetation when they bite into it. 3. If your damage is found off the ground, up to 6 feet, small animal damage can be ruled out. 4. Deer tracks are also easy to identify. The prints are about 2 to 3 inches long and are shaped like broken hearts. So what do you do to keep the deer out of your backyard? There are loads of "home remedies" that have been tried with varying results… human hair, soap, pepper spray, even a battery operated radio, sealed in a plastic bag, tuned to a talk radio station fooling deer to think humans are in the yard! These remedies might work sporadically, but they are not reliable deterrents for deer. Then there's fencing. Properly built and maintained fencing can be an effective method for preventing deer damage. 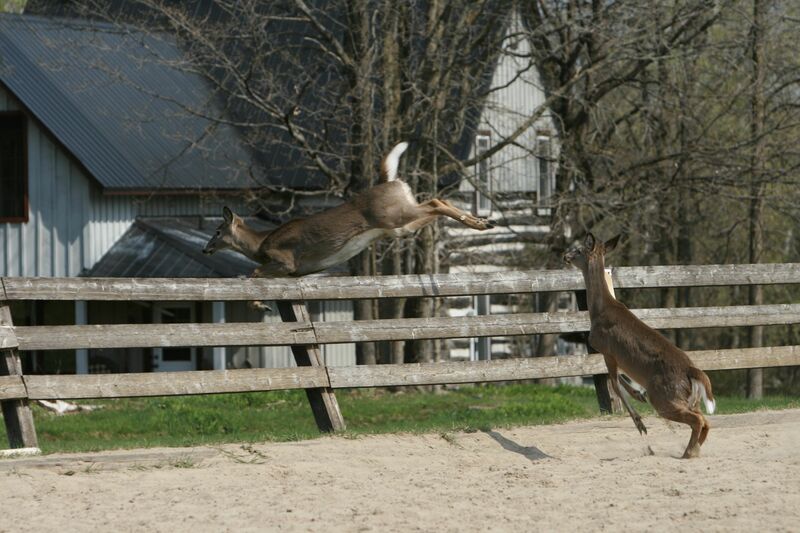 But deer can jump up to and clear an 8-foot fence on level ground, and they can easily push and remove plastic netting. Installing a 6- to 8-foot fence can be an effective solution to some extent, but fencing is costly and can be quite unsightly. Perhaps one of the most effective and easiest methods to deter deer is repellent. Deer repellents are designed to impart objectionable odors or tastes. Bobbex offers Bobbex Deer, which is an environmentally friendly, nontoxic and long-lasting deer deterrent that's safe for people, pets, wildlife and aquatic life. Ingredients include putrescent eggs, fishmeal, fish oil, garlic, and other natural ingredients — all materials that offend a deer's sensitive sense of smell and taste. Additional ingredients such as urea and Epsom salts contain natural fertilizer components, which are beneficial for all plantings. The product mimics predator scents, which deer have an aversion to, and is classified as a fear repellent, but it also tastes terrible to deer, adding another layer of protection for plants. Because it contains effective sticking agents, the repellent won't wash off even in harsh winter weather. And it's been 3rd party tested against 10 other like-repellents and is rated #1 for protection against deer browse. 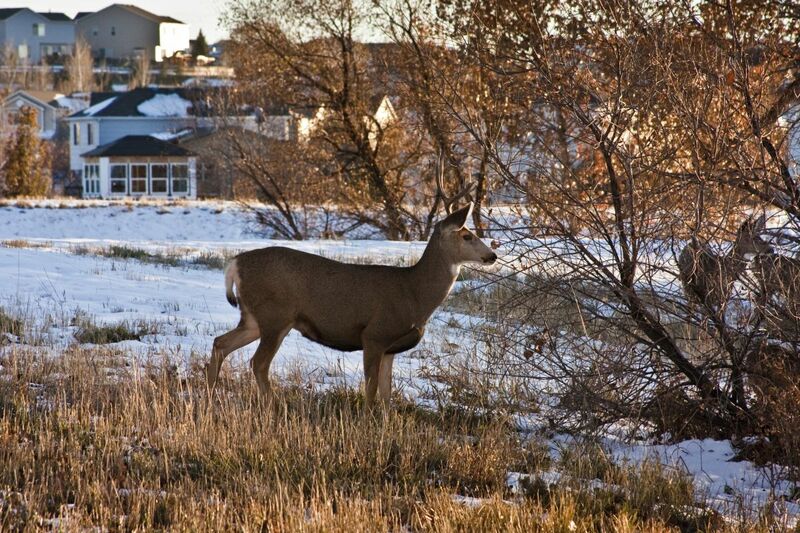 This fall and winter protect your plants and shrubs and create your own boundaries for foraging deer. Now you're in control: Just spray Bobbex Deer and watch those doggone deer disappear from your backyard landscapes. For more information on Bobbex Deer and repellents for other four-legged garden pests like rabbits, chipmunks, voles, groundhogs and squirrels, visit www.bobbex.com.